Trapped in a hidden fortress tucked between towering mountains and a frozen sea, Solveig, along with her brother the crown prince, their older sister, and an army of restless warriors, anxiously awaits news of her father's victory at battle. But as winter stretches on, and the unending ice refuses to break, terrible acts of treachery soon make it clear that a traitor lurks in their midst. A malevolent air begins to seep through the fortress walls, and a smothering claustrophobia slowly turns these prisoners of winter against one another. Those charged with protecting the king's children are all suspect, and the siblings must choose their allies wisely. But who can be trusted so far from their father's watchful eye? Can Solveig and her siblings survive the long winter months and expose the traitor before he succeeds in destroying a kingdom? Opening Lines: "The fjord is freezing over. I watch it from the edge of our cliff near our hall, and each day the ice claims more of the narrow winding of ocean. It squeezes out the waves and the blue-black water, while it squeezes us in. Just as Father intended it to. Winter is here to wall us up, to bury us in snow and keep us safe." Why I liked it: As you can see from the opening lines, the SETTING of the novel is a character in itself. The opening manages to convey two apparently contradictory things: they are trapped, and they are safe. As someone who, shall we say, finds setting a challenge when writing, I enjoyed seeing how Matthew Kirby brought the Nordic-like landscape to life. I adore the COVER on so many levels. Great colors, and you immediately know you are in some mythic past which will be brimming with action. Solveig, the narrator, is a very interesting CHARACTER, the plain child who is last-placed of her siblings in her kingly father's affections, but who proves she has strength of character as she works to become a skald or storyteller/minstrel. There is ACTION aplenty, with the arrival of "berserkers" who are there to protect the children, but are scary in their unpredictability. And there is the constant TENSION, as we wonder who is the traitor. This is one of those rare books that kept me up past my bedtime! 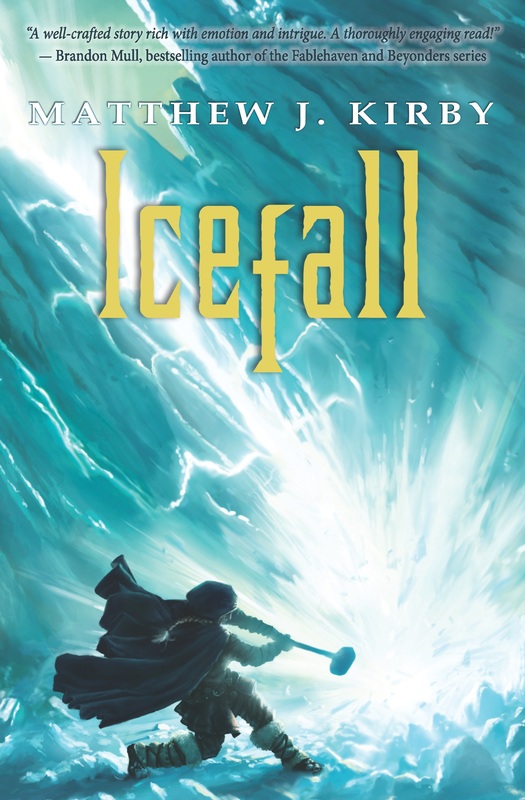 Awards: ICEFALL won the 2012 Edgar Award for Best Juvenile Mystery and the 2012 PEN Center USA Literary Award for Children's Literature, among many others. About the Author, from his website: Matthew J. Kirby was born in Utah, but with a father in the navy lived all over: Rhode Island, Maryland, California (twice), and Hawaii. As an undergraduate at Utah State University, he majored in history. He then went on to earn M.S. and Ed. S degrees in school psychology. he lives in Utah with his wife and works as a school psychologist for a large district. Other novels: The Clockwork Three (Scholastic 2010). Matthew Kirby is also part of the Infinity Ring Series. His book (#5) will appear in September 2013. Sidenote: Matthew Kirby's agent is my agent too. (Stephen Fraser at The Jennifer De Chiara Literary Agency.) So I am in exalted company! 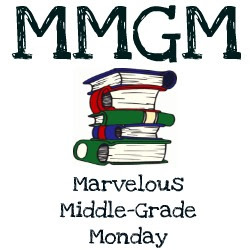 I'm not sure how I've missed this title so far, since it came out in 2011, but I will definitely keep an eye out for it in the Scholastic catalog ... which arrives in my classroom monthly! I have to say I'm with Dianne. Not sure how I missed this one, but I'm sure adding to my list. I'll pick it up for my nine year old. :) Thanks so much for highlighting it! Love this book! So glad you featured it, Mike. The Nordic touches were fabulous! Books where setting is a character are amazing! This is one I need to pick up. I've seen this mentioned on another MMGM blog (but darned if I can remember whose...). It certainly sounds exciting. I love books in which the setting is a character. And that cover is eye-catching. How cool that Matthew Kirby is your agent-mate! I really enjoyed this one! Such lovely writing -- along with tension and action. I have heard many good things about this one. And, I do believe there is a dearth of "Nordic-like landscape" set books on my To Read list. Oh man! I've been meaning to read this book for so long and I just kept forgetting.